Posted in: Colorful Weddings, Weddings. 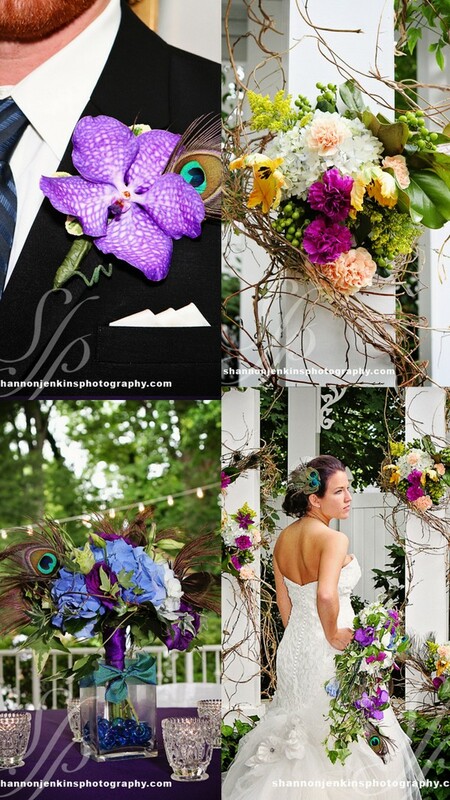 Tagged: Caprice Palmer, CJs Off the Square, Colorful Wedding Flowers, Enchanted Florist, Nashville Wedding Florist, Nashville Weddings, Purple Wedding Flowers. What do you get with a fun-loving bride and groom, and a penchant for peacock feathers, and a beautiful wedding venue? Another gorgeous wedding! Chianni and Charlie opted for a morning wedding in the romantic garden setting of CJs Off the Square and a lovely morning it was. 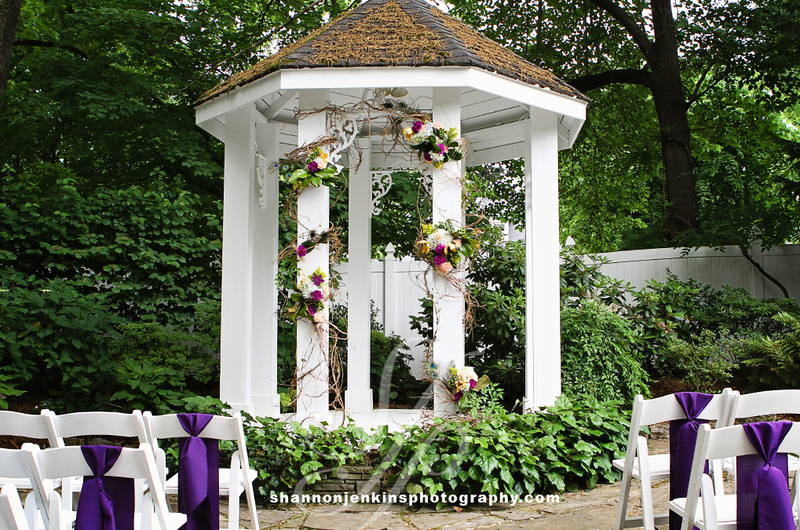 Morning weddings are a great way to stretch aspects of your budget that are normally pretty expensive. Food and beverage bills tend to be much smaller as guests are not likely to consume much (if any) alcohol and breakfast or lunchtime menus are priced lower. The photos below are courtesy of Nashville photography, Shannon Jenkins Photography.